Combining outstanding quality and value, we are manufacturing and exporting a wide range of excellent quality Prop Sleeve. 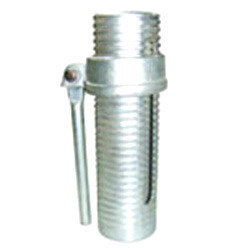 We manufacture offered range of prop sleeves using optimum grade raw material, obtained from the certified vendors of the market. The offered range of prop sleeves are available with us in various finishing, sizes and other specification. Based in Mumbai (Maharashtra), India, since commencement, ours is a Private Limited Company. The product offered by us are highly applauded in the market for their features like dimensional accuracy, robust construction, durability, high functionality, low maintenance, high strength, sturdy design and easy installation. Highly acknowledged for the above mentioned features, these products cater the needs of many industries.